It's as if we made entering gothic cathedrals illegal, or museums, or sunsets!' When LSD was first discovered in the 1940s, it seemed to researchers, scientists and doctors as if the world might be on the cusp of psychological revolution. It promised to shed light on the deep mys... read full description below. It's as if we made entering gothic cathedrals illegal, or museums, or sunsets!' When LSD was first discovered in the 1940s, it seemed to researchers, scientists and doctors as if the world might be on the cusp of psychological revolution. It promised to shed light on the deep mysteries of consciousness, as well as offer relief to addicts and the mentally ill. But in the 1960s, with the vicious backlash against the counter-culture, all further research was banned. In recent years, however, work has quietly begun again on the amazing potential of LSD, psilocybin and DMT. Could these drugs in fact improve the lives of many people? 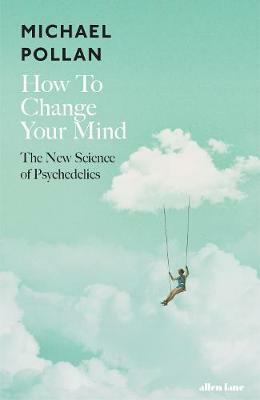 Diving deep into this extraordinary world and putting himself forward as a guinea-pig, Michael Pollan has written a remarkable history of psychedelics and a compelling portrait of the new generation of scientists fascinated by the implications of these drugs. How to Change Your Mind is a report from what could very well be the future of human consciousness. Michael Pollan is the author of five previous books, including In Defence of Food, a number one New York Times bestseller, and The Omnivore's Dilemma, which was named one of the ten best books of the year by both the New York Times and the Washington Post. Both books won the James Beard Award. A long-time contributor to the New York Times Magazine, he is also the Knight Profes-sor of Journalism at the University of California at Berkeley.